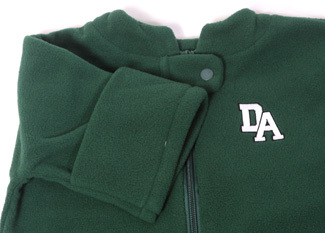 Soft and warm fleece bunting for our youngest Deerfield fans. 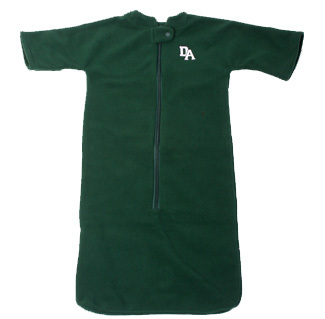 With snap closure at neck and full zip access. Flip cuffs to keep baby's hands warm. 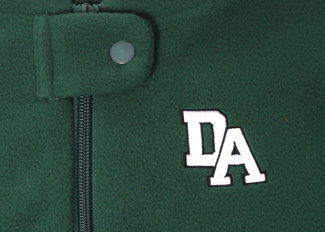 Dark green fleece with white DA logo. One size.